Have you watched Avengers: Age of Ultron yet? That was certainly a fun movie, although it is starting to get a bit jaded at the edges as there are just so many times you can see earth’s mightiest heroes come together. Having said that, Spiderman himself has been a silver screen blockbuster, but they aren’t great stories per se. 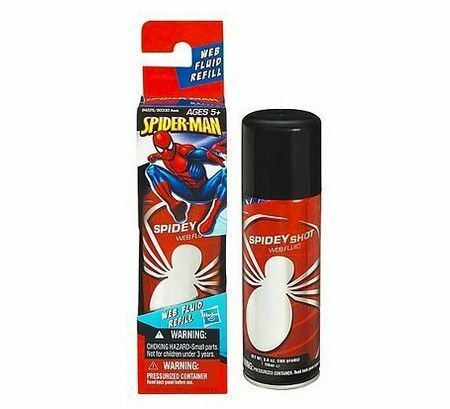 Still, he is a firm favorite among many others, which is why you might want to get the young Spidey fans in your home the $12.95 Spiderman Shooter Spray in order for them to run wild with their imagination. You will be able to use this Spray on its own or with the Spidey Shooter fx glove if you’ve got one.